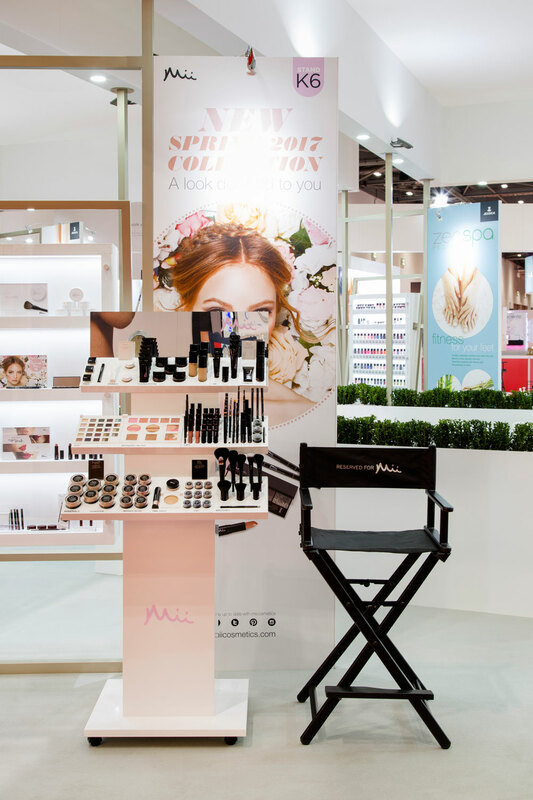 A stylish and multipurpose stand designed for Gerrard International at Professional Beauty London 2017. 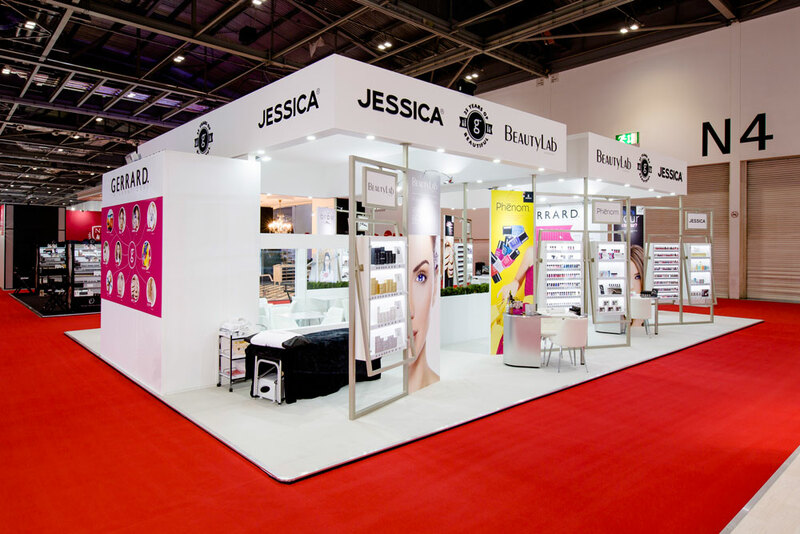 Celebrating 25 years of business, Gerrard International – a long-standing client of Limeblue – asked us to design and build a stand to showcase their wide range of products at the recent Professional Beauty show at Excel, London. Limeblue demonstrated its clear understanding of the brand’s identity with its bold use of colours, strong graphics and lighting, which reflected the brand’s fresh and contemporary feel. 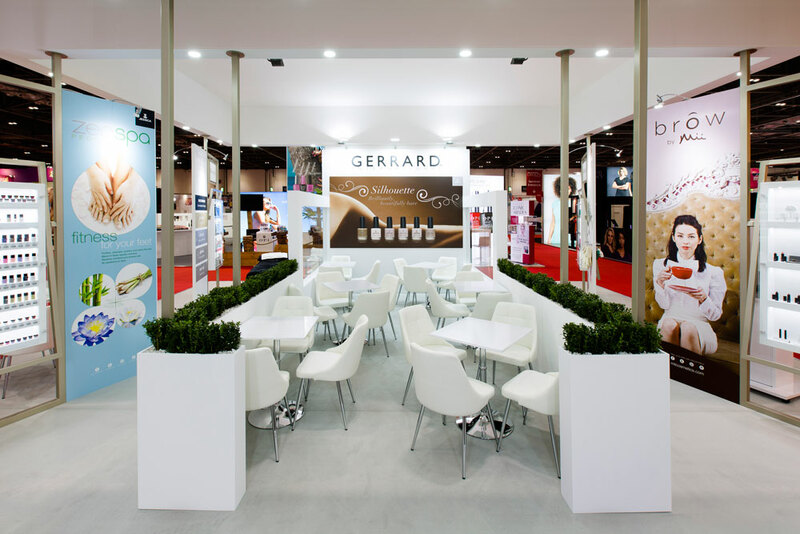 A central VIP area was designed for potential clients to meet Gerrard International representatives and open new accounts, and display units were designed with barcodes to enable visitors to scan their desired products which were in turn sent to them after the event. 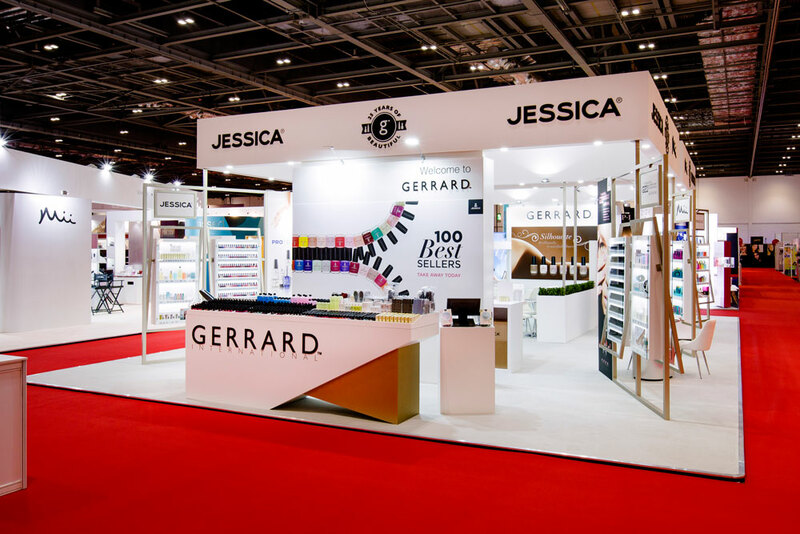 The result was a fully immersive, interactive and eye-catching platform for Gerrard International to sell, demonstrate and promote the brands that they represent including; Mii, Jessica, GELeration, Spongellé and BeautyLab.